Wildlife biologists are no longer actively trying to trap a bear thought to have mauled two men in the South Fork Eagle River Valley. "The immediate trail has gone cold," said Alaska Department of Fish and Game spokesman Ken Marsh on Monday. 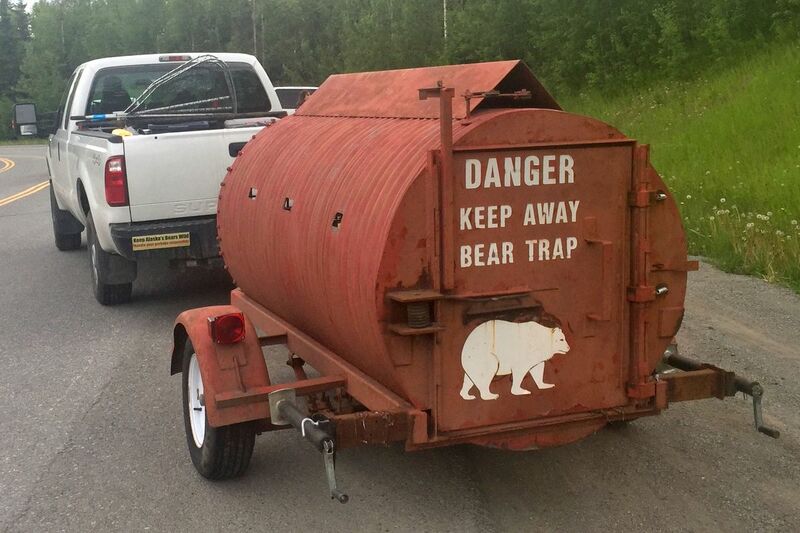 The bear traps remain near the end of Hiland Road, but Marsh said they're no longer set. However, that could change if there are bear sightings in the area. "At this point we're going more into a long-term type of strategy," he said, though he couldn't say exactly what measures biologists may take aside from closely monitoring the situation in case there are more bear sightings. 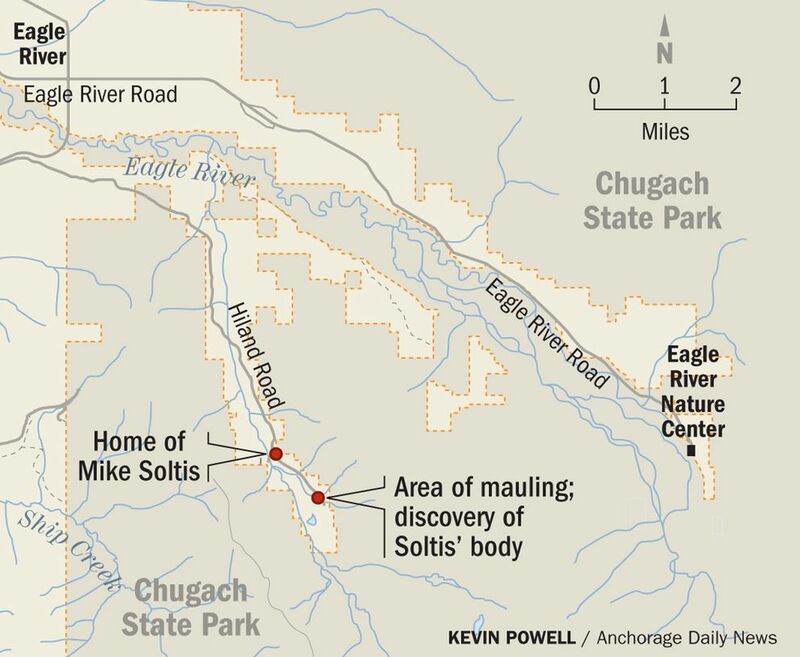 Biologists have taken bear DNA samples from the site where an Eagle River man's body was found and another man was mauled June 20. Marsh said if Fish and Game does capture and kill any bears in the area, the samples will be used to determine if the bear matches the one believed to be responsible for killing Michael Soltis, 44, and injuring Paul Vasquez, a volunteer searcher who was mauled near Soltis' body. Vasquez suffered a leg wound when he was attacked by what was described as a large brown bear by another member of the search party. Soltis was last heard from June 18. A search began for the 44-year-old engineer the next day, and June 20 his body was discovered just off a narrow trail leading away from Hiland Road about a half-mile from his home. An autopsy performed by the State Medical Examiner Office determined he was mauled by a brown bear. Trails in the area — including the South Fork Eagle River Trail on the other side of the valley — remain open, though state officials have warned people about the maulings and continue to ask hikers to remain vigilant, travel in groups, make noise and bring some form of protection such as bear spray or firearms.